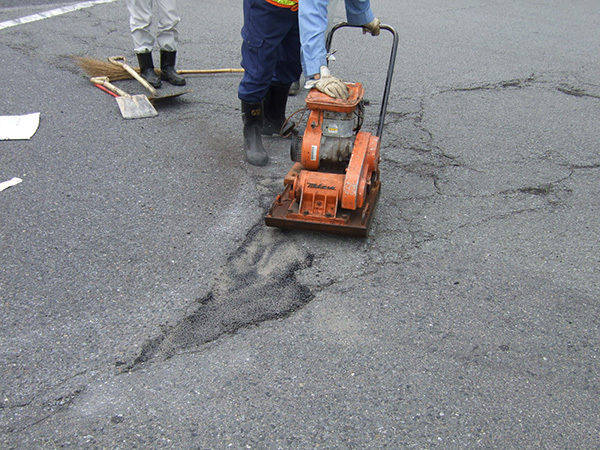 RESCUEPATCH is a maximum 5mm sized aggregate, high durability, all-weather type cold applied mixture (patching material). 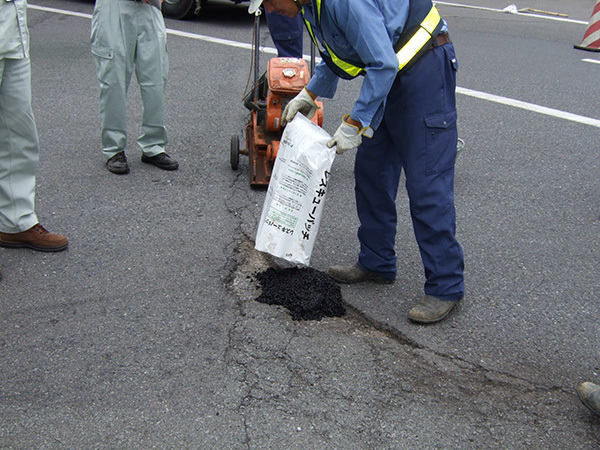 Because special modified asphalt is used, the mixture has an outstanding adhesive nature and exhibits high durability. Implementation is possible even when snow or rain is falling, or when the implementation surface is wet. Has outstanding resistance to aggregate scattering and excellent water resistance immediately after opening the road to traffic. 1.Because the durability and flow resistance is maintained for a long period, it will also be applicable for locations subject to heavy traffic.